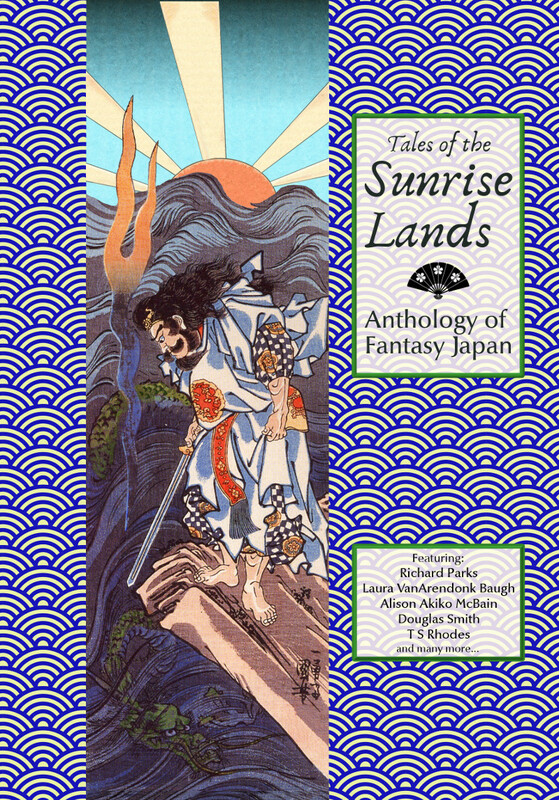 My short story "The Red Bird" has been reprinted recently in the Japanese fantasy anthology, Tales of the Sunrise Lands, from Guardbridge Books in the United Kingdom. Love this cover, shown here at the left. "The Red Bird" first appeared in the long-running, award-winning, Canadian speculative fiction magazine, On Spec, way back in 2001 in their "World Beat" issue. 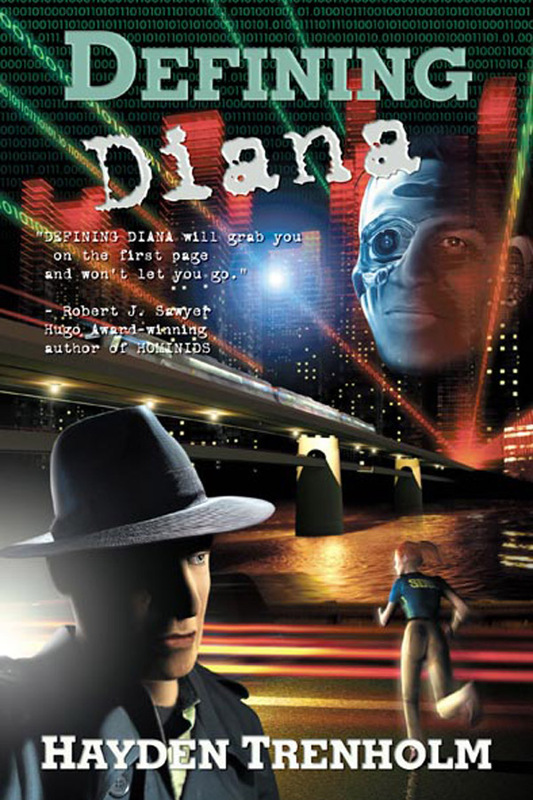 The story was an Aurora Award finalist in 2002, and remains one of my personal favourites. I'm proud to see it in such good company in this wonderful anthology of fantasy tales, all set or influenced by the Land of Rising Sun. It's also quite cool to get a cover credit. Tales of the Sunrise Lands is available from Amazon worldwide and in the UK from Guardbridge Books. My novel, The Wolf at the End of the World, has been getting a lot of love lately. First it was featured in a BookBub promotion earlier this month, and now it's part of an excellent ebook bundle called Heroic Tales available here from BundleRabbit. This is a huge bundle, folks, featuring nineteen (!) titles for only $4.99. You can buy directly from BundleRabbit or, if you prefer, from any of the major ebook retailers, including Amazon, Kobo, B&N, and Apple. Nineteen books for under $5! Come on, that's hard to beat. Grab it before the bundle goes away. And to help promote this great bundle, the hero of The Wolf at the End of the World, Gwyn Blaidd, agreed to come out of seclusion in his Northern Ontario retreat to talk a little about himself and the story with fantasy author A. L. Butcher. Read Gwyn's interview here. The last (but hopefully, not least) book in my spotlight series on Storybundle's current Aurora Award ebook bundle is my own collection, Impossibilia. This was my first collection, a mix of SF and fantasy, and includes an Aurora winner and an Aurora finalist. And if you are looking for still more pedigree, remember that the bundle includes titles from two CSFFA Hall of Fame inductees (Rober J. Sawyer and Dave Duncan). The bundle is available only for a limited time, and then it's gone. And time's running out. You can buy the bundle here only until July 27. Pay just $5 for the basic bundle of five books. Pay at least $15, and get the entire bundle of ten novels, all of them award winners or finalists. The next-to-last book in my spotlight series on Storybundle's current Aurora Award ebook bundle is Hair Side, Flesh Side, Helen Marshall's award-winning first collection of short stories. I first met Helen when she worked for the excellent Canadian press, ChiZine Publications, and edited my second collection, Chimerascope. I didn't realize how lucky I was at the time. Helen has established herself as a master of the short form, and this, her first collection, is ample proof. 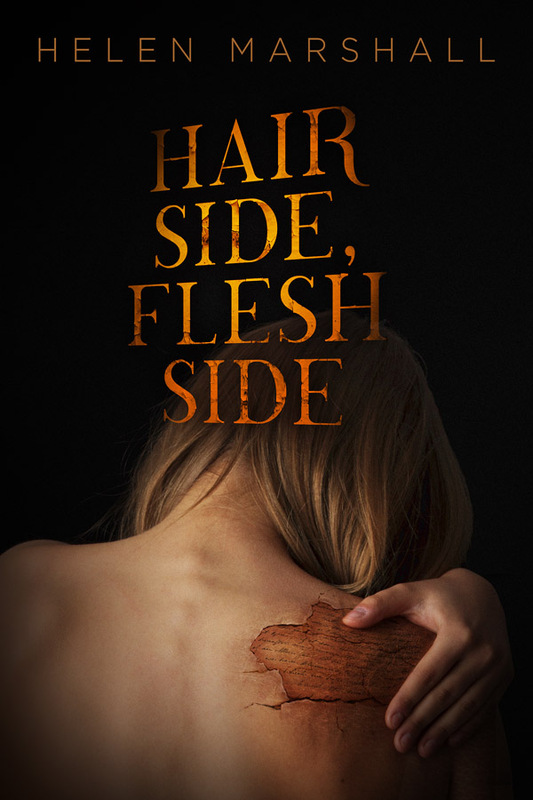 Aside from being a finalist for the Aurora Award, Hair Side, Flesh Side also won the Sydney J Bounds Award. This collection is a brilliant introduction to one of the brightest new lights in Canadian speculative fiction. You can buy the bundle here until July 27. Pay just $5 for the basic bundle of five books. Pay at least $15, and get the entire bundle of ten novels, all of them award winners or finalists. The eigth title in my spotlight series on Storybundle's current Aurora Award ebook bundle is Edward Willett's Marseguro. 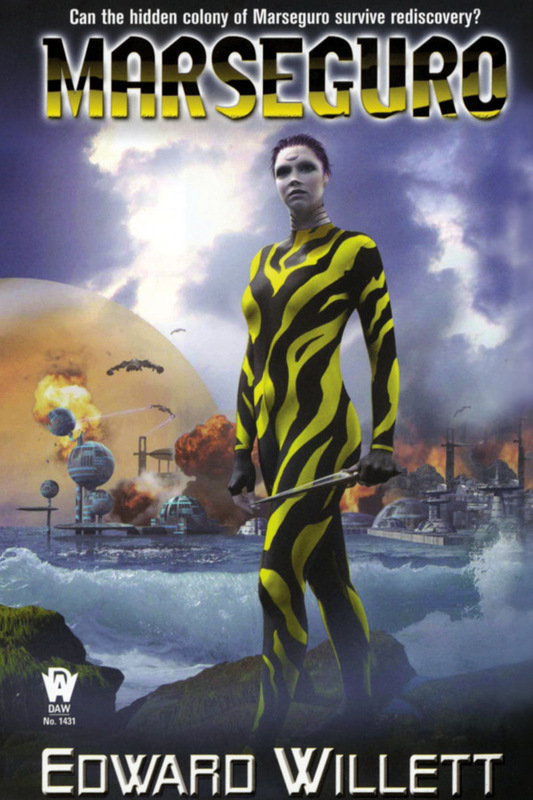 Here's your chance to read the first entry in Ed's acclaimed two-book series of thought provoking SF adventure in which modified humans on a distant water world finds themselves in a battle for survival with a future Earth ruled by a fanatical theocracy. Marseguro won the Aurora Award and its sequel, Terra Insegura, was a finalist for the award. It’s a series that will make you both feel and think, and is a great introduction to the work of an author of more than fifty books. The next book in my spotlight series on the current Aurora Award ebook bundle is Dave Duncan's fantasy, The Cursed. Shortly after I started writing professionally, I sat on my first panel at a genre convention, an unknown among established pros. One of my fellow panelists was Dave Duncan, and I still remember his gracious welcome to a newbie. Dave is an international best seller and an acknowledged master of epic fantasy and science fiction, with fifty-plus novels and over a dozen series. In 2015, Dave was inducted into the Canadian Science Fiction & Fantasy Association Hall of Fame. 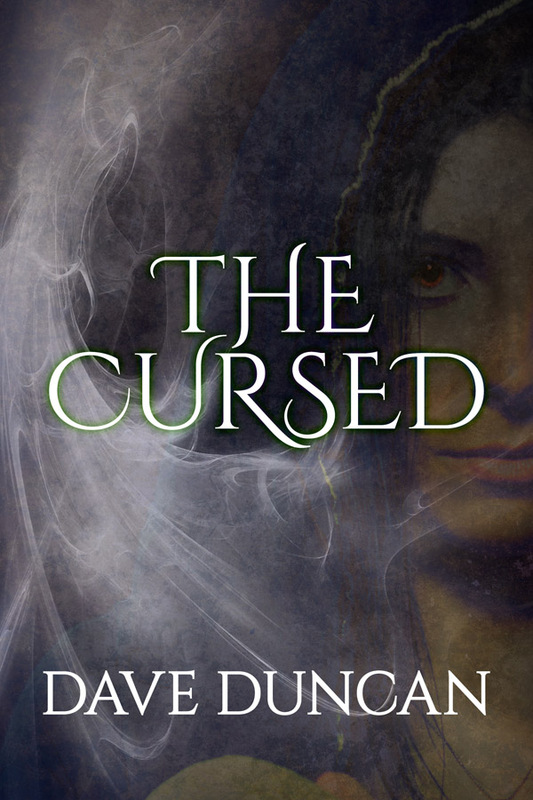 The Cursed is often cited by fans as a favorite Duncan title. Its story takes place in a fallen empire where a plague leaves its survivors ostracized but with magical powers, powers that might be the key to rebuilding their world. You can check out the bundle here. It runs to July 27. If you want just the basic bundle of five books, pay just $5. 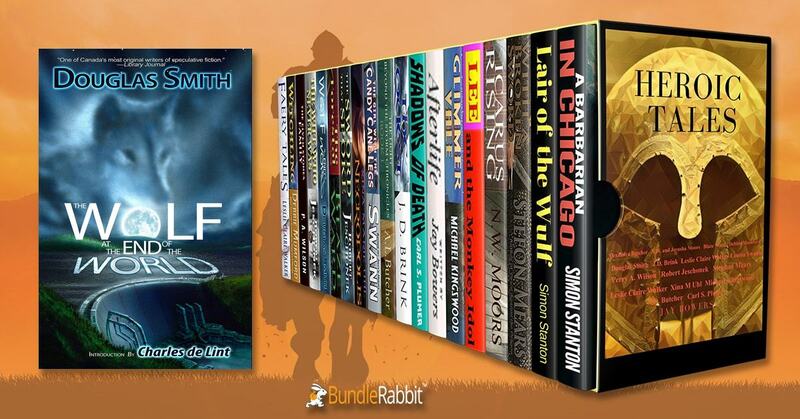 Pay at least $15, and get the entire bundle of ten novels, all of them award winners or finalists. The sixth (of ten) books in my spotlight series on the current Aurora Award ebook bundle is D.G. Laderoute's Out of Time. For a bundle that came out around Canada's 150th birthday, it seemed appropriate to include a fun YA adventure (to remind us we're still young) in an environment that many associate with Canada (the wilderness, specifically the shores of Kitche Gumi, or Lake Superior). 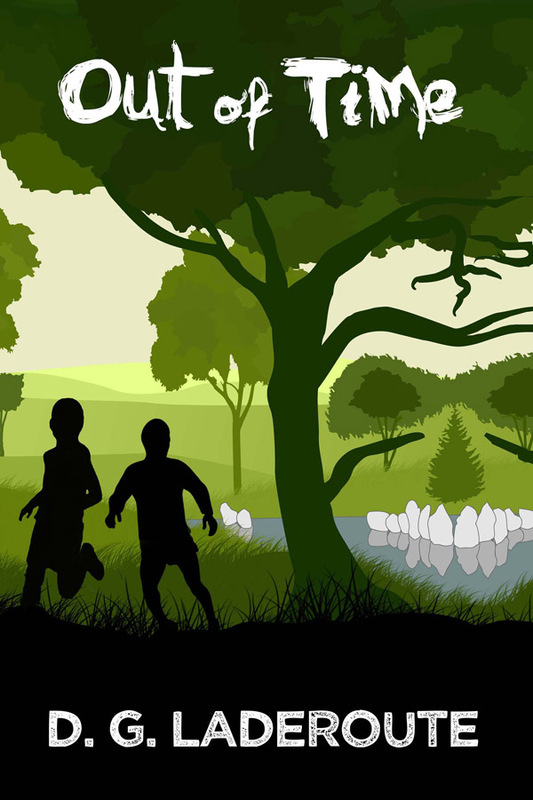 Out of Time is a YA fantasy adventure combining time travel with First Nations lore as two fourteen-year-old boys—one white, one Anishinabe—join forces across time to battle a monster. The bundle runs to July 27. You can check it out here. $5 for the basic bundle of five books, or pay $15 and get the entire bundle of ten novels, all of them award winners or finalists. 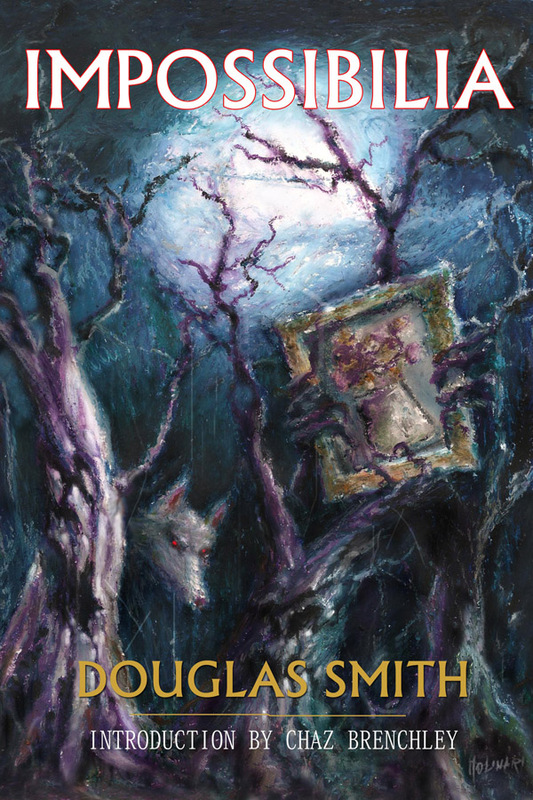 Next up in my continuing spotlight series on the books in the current Aurora Award ebook bundle is Druids, by Barbara Galler-Smith and Josh Langston. And it's an introduction to yet another series! I've never had the chance to meet Josh, but I've known Barb since I began writing, and it's always a thrill to read her work. 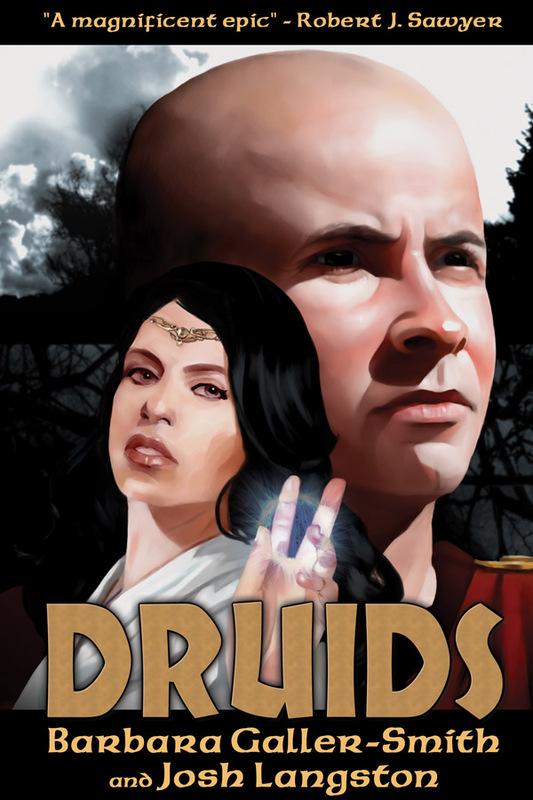 Druids kicks off a magnificent epic historical fantasy trilogy, set a thousand years ago when the Celts ruled Europe. Captives and Warriors complete the trilogy. I have a (very) irregular email newsletter that I send out to my subscribers. If you're a fan of my writing, this lets you be the first to hear about new books and stories, current writing projects and plans, award news, appearances, workshops, and more. I've always offered a free ebook to any new subscribers. For some time now, the free ebook has been "Spirit Dance," which won the Aurora Award way back in 1997. Since that story has been around for a while (you think? Two decades! Wow! ), I'm now offering new subscribers a choice of the free story they receive for signing up. Now you can take your pick from my Aurora Award winning stories: "Spirit Dance" or "Scream Angel" or "The Walker of the Shifting Borderland." To sign up and get your free ebook, just click the link of your choice below. I'll never spam you or share your email address, and you can unsubscribe at any time. My subscribers also receive other free giveaways, exclusive writing content, special offers, and a permanent discount at my online bookstore. And if you're already a subscriber, don't feel left out. I'll be sending out a newsletter shortly with links for you to get these stories as well, plus another one! Next book in the spotlight from the current Aurora Award ebook bundle at StoryBundle is Defining Diana from Hayden Trenholm. I've known Hayden almost since I started writing in the late 90's. He's been an Aurora finalist ever so many times and has won the award four times. He also owns Bundoran Press, so he knows the writing game from all sides: writer, editor, and publisher. In Defining Diana, Hayden Trenholm updates the locked room mystery to 2043, where nuclear war, biotechnology, and all-powerful corporations have changed the Earth we know. It's also the first book in The Steele Chronicles, a near-future SF trilogy, each volume of which earned a spot on the Aurora Award ballot. Steel Whispers and Stealing Home complete the trilogy. So here's your chance to discover a new series and, maybe for you, a new author.